New players are always welcome! Try out the club before joining by coming along to one of our social tennis sessions, detailed below, at which we mainly play doubles. 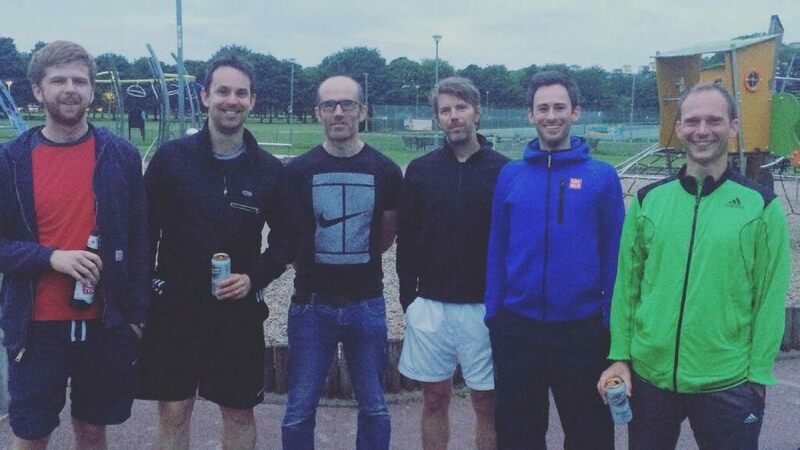 We offer a great opportunity to just come along and play social doubles! Social sessions are for club members only, but non-members are very welcome to play a couple of times before deciding about joining. No need to book, just come along and find us – see details below. From late March to early November on courts 9-11. 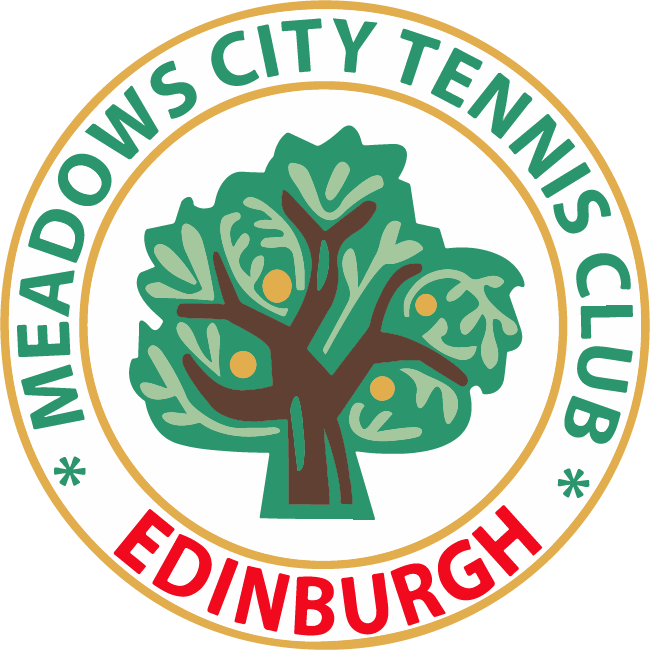 Discover the summary of our main events and the full calendar of events and social tennis sessions below. To kick off the summer season in style, we are going to hold an Open Day on Saturday 6th April from 1-4 pm. We will set things up to raise awareness of the club and it will be a chance for people to meet existing members plus a nice club social event too. 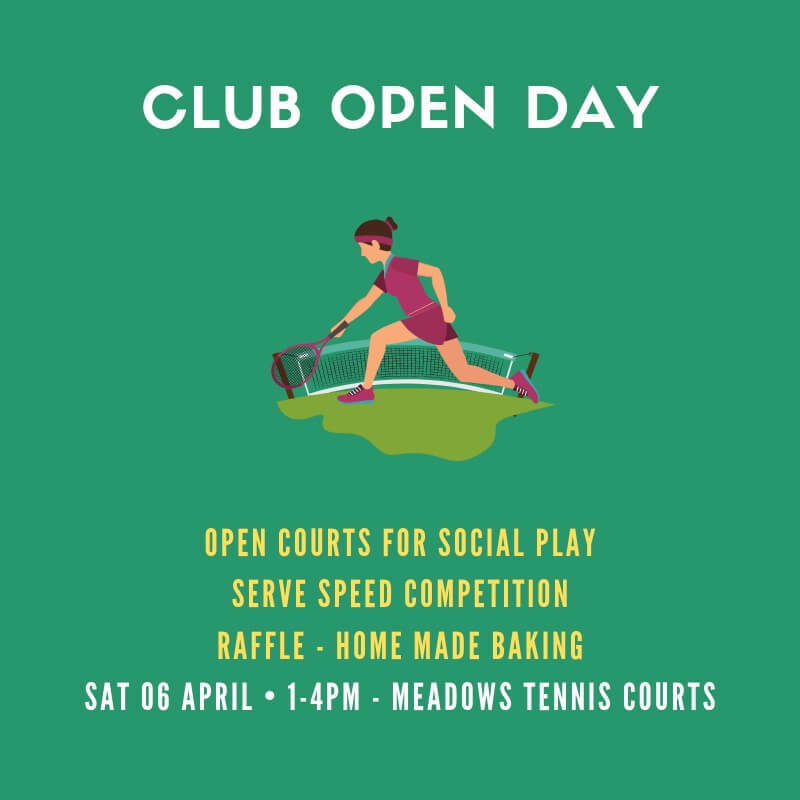 If you know someone who plays tennis and might like to join the club, it would be great to bring them along too or tell them about it if you can’t make it. 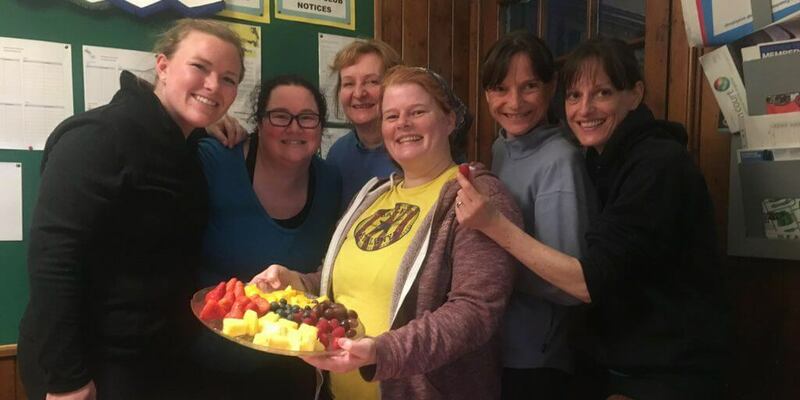 *If you are a home baker, we’d be very pleased if you would like to bring something along – fruit/other snacks also welcome. 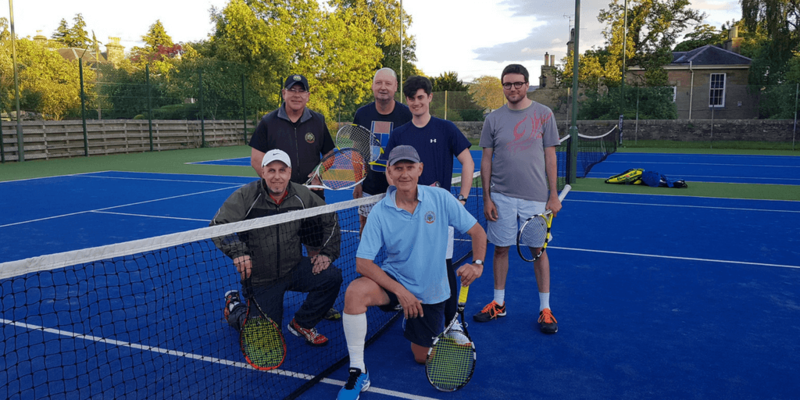 The usual Saturday social session will run as normal for those who can’t make the Open Day – or chance to grab some lunch and come back for more tennis in the afternoon. 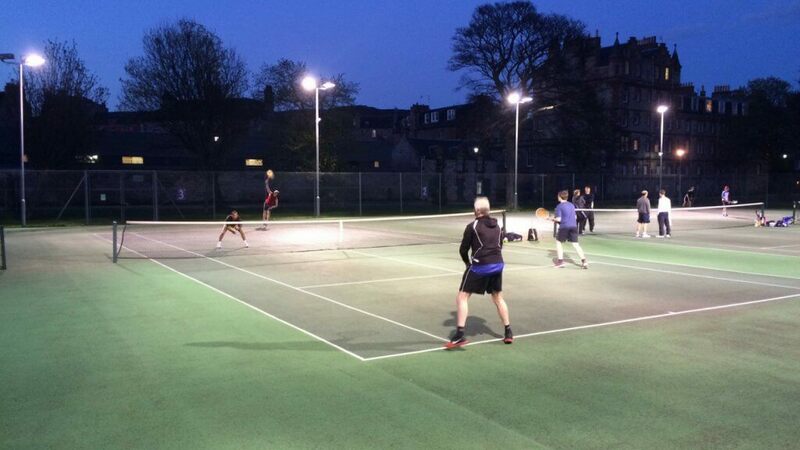 One of the team captains will run doubles drills and matches to practice for the East of Scotland Leagues. Men's first team will play against Lomond Park 2. Men's first team will play against Prestfield 1.